Compare supermarket chains Coles, Woolworths, IGA, ALDI and Foodland on customer service & staff accessibility, store layout & presentation, freshness of foods, product variety, quality of private labels, specials deals, value for money and overall customer satisfaction in 2018. Canstar Blue research finalised in June 2018, published in July 2018. ALDI has made it four years out of five at the top of Canstar Blue’s customer satisfaction ratings for supermarkets, scoring five stars for store layout, quality of private labels, special deals, value for money and overall satisfaction in 2018. Australia’s major supermarkets have moved away from simply fighting it out over the lowest prices, with an increasing focus being placed on ‘value’ and the overall customer experience. Coles and Woolworths have made their respective “Down Down” and “Cheap Cheap” slogans less prominent in recent months, while ALDI continues to differentiate itself on price, but at the same time promotes its products as being ‘good different’. ‘Good’ is certainly the supermarket buzzword of 2018, but which chain really has the happiest shoppers at a time when quality is just as important as cost in the eyes of many? Competitive prices remain a big factor in determining where Australians shop, but consumers also see the benefits of paying a little extra for quality when it comes to their favourite products in particular. 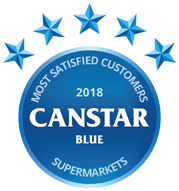 In Canstar Blue’s latest supermarkets review, almost 3,000 shoppers were asked about their experiences of buying groceries from their local store of choice, with their collective feedback forming our 2018 customer satisfaction ratings. Survey respondents were asked to score the supermarket they most recently visited on a range of factors relating to customer service & staff accessibility, store layout & presentation, the quality of their private label products, variety of products, freshness of fruits, vegetables & meats, value for money, special deals and overall satisfaction. It is the fourth time in five years that ALDI has topped our customer ratings. In 2017, Foodland was rated highest overall. In addition to overall satisfaction, ALDI scored five stars for its store layout & presentation, the quality of private label products, value for money and special deals. Edged out of first place this year, Foodland still recorded strong results across most research categories, including top marks for product variety and food freshness, while IGA finished ahead of the big two with three stars overall, but five stars for its customer service & staff accessibility and a mix of three and four stars across the board. Coles and Woolworths recorded similar results, scoring three stars for overall satisfaction, four stars on value for money and five stars for their store layout & presentation. Coles rated higher than Woolworths in regards to food freshness, while Woolies edged out Coles on product variety. They both received four stars for the quality of their private label products and special deals, but scored three stars for customer service & staff accessibility. What matters most to shoppers? 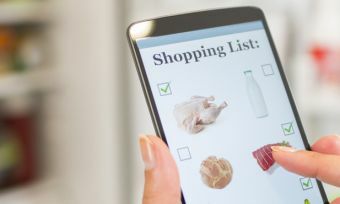 In addition to finding out which supermarket chains are rated highest, the research also identified what drives customer satisfaction at the checkout. The number of consumers who reported switching to a different supermarket chain in the last year has dropped slightly compared to our 2017 findings (28% vs 23%), but the number who do all their shopping at the same chain remained consistent (39%). Three-quarters of survey respondents think supermarket private label products are good quality (76%) – consistent with last year’s research (77%). However, the number of consumers who tend to buy private labels over big name brands has increased slightly (47% vs 44%). The number of shoppers who say the cost of basics like milk and bread determines where they shop also remained consistent with 2017 (33% vs 34%), as did the number who pay attention to special offers and promotions (89% vs 88%). The number of consumers who tend to make impulse purchases at the supermarket has increased from 52% to 58%. Average reported spending at the supermarket has remained consistent with last year ($137 vs $136 a week). Queues at the checkout remain the number one frustration of supermarket shoppers, but the number who report ‘other customers’ as their biggest gripe has jumped from 10% to 15% in the last 12 months. 14% of survey respondents said they have no supermarket frustrations. German grocery giant and supermarket disrupter ALDI has reclaimed top spot in our supermarket ratings after losing out for only the second time since 2011. 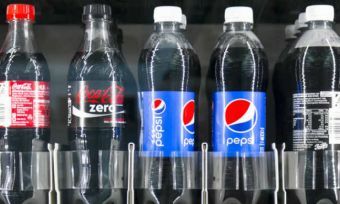 While ALDI doesn’t have the same number of stores as Coles and Woolworths, it’s fighting back against the duopoly with often lower prices, with its own brands offering real competition against major brands stocked by other supermarkets. ALDI also offers something different with its ‘Special Buys’, one-off or seasonal products ranging from specialty foods to snow gear to luxury skin cream. This year, ALDI was the only supermarket to rate five stars on value for money, special deals, and quality of private label products, while also improving from four stars to five on store layout & presentation. The South Australian chain stays true to its local values, with all Foodland branded products made in Australia, with over half of them made in SA itself. That means zero imported goods in the Foodland private label range. Outside of its stores, the company works to be an active part of South Australian communities by supporting local charities, schools and sporting clubs. Each Foodland supermarket is independently owned and locally-focused – so you can get all the advantages of a large chain with the community focus of your old-fashioned local business. Apart from the 100 plus Foodland stores in South Australia, you’ll also find one in Jabiru (Northern Territory) and Broken Hill (NSW). Last year’s top rated supermarket chain, Foodland clearly has an avid fan base, but in 2018 must make do with four stars for overall satisfaction. However, it still earned top marks for food freshness – the only chain to do so, no less – and product variety. The Independent Grocers of Australia works by utilising group purchasing and marketing, while store management and ownership stays independent. More and more solo shops are joining the IGA name, which currently has over 1,400 locations right across Australia, from small corner shops to sprawling supermarkets. IGAs tend to open earlier and close later than regular grocery stores, which can make them the perfect go-to for night owls. Many shops also carry more local brands, specialty products, or imports for some different variety from your usual supermarket stock. IGA’s overall rating has dropped from four stars in 2017 to three stars this year, with a mix of three and four stars across most research categories. IGA fell down on value for money, which is perhaps little surprise given the company often has a reputation for slightly higher prices, but it did score a creditable five stars on customer service & staff accessibility. One of Australia’s two biggest supermarket chains, Coles has been owned by Wesfarmers since 2007, along with Bunnings Warehouse, Officeworks, Kmart, Target, and many more businesses. However, in March 2018, Wesfarmers announced its proposal to demerge Coles, presenting an opportunity for Coles to become a standalone publicly listed company on the Australian Stock Exchange. 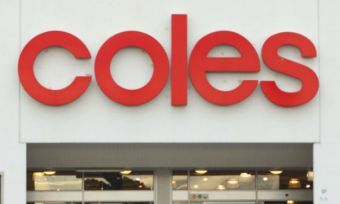 Coles currently has over 800 locations across Australia, plus online shopping with a choice of ‘Click & Collect’ locker pickup or home delivery. While Coles has enjoyed solid success in our satisfaction ratings for online grocery shopping, it once again scored three stars overall in our latest review of physical stores. Coles earned a mix of three, four and five stars across the board, including top marks for store layout & presentation, but just three stars for customer service & staff accessibility. Fondly referred to as ‘Woolies’, there are more than 1,000 Woolworths stores across Australia. Parent company Woolworths Limited also owns Dan Murphy’s and Big W, in addition to several other popular businesses including a number of hotels and pubs. Woolworths also operates in New Zealand under the name of ‘Countdown’, where it’s the second largest supermarket chain. Woolworths as we know it in Australia also offers online shopping – with either ‘Click & Collect’ pickup or home delivery – which has made shopping a little easier for the time-poor or transport-limited. As with Coles, our ratings suggest that the massive market share doesn’t necessarily translate to customer satisfaction, as Woolies rated three stars overall, with a mix of results across the board. It did, however, achieve top marks for store layout & presentation and product variety. Canstar Blue surveyed 3,000 Australian adults across a range of categories to measure and track customer satisfaction, via ISO 26362 accredited research panels managed by Qualtrics. The outcomes reported are the results from customers within the survey group who have made a purchase from a supermarket in the last month – in this case, 2,889 people. 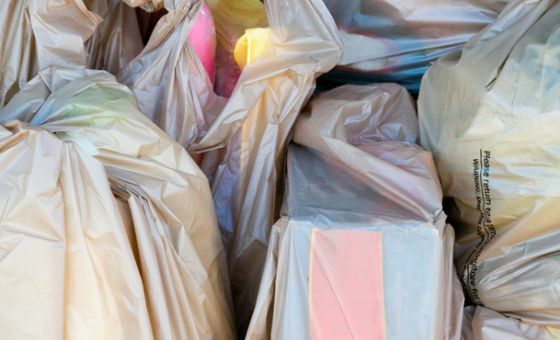 Does supermarket shopping get you frustrated? 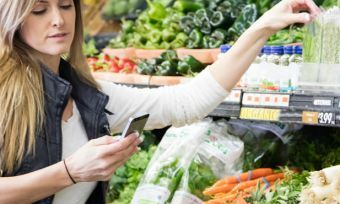 Make grocery shopping easier with our review of 13 top apps for iPhone and Android.